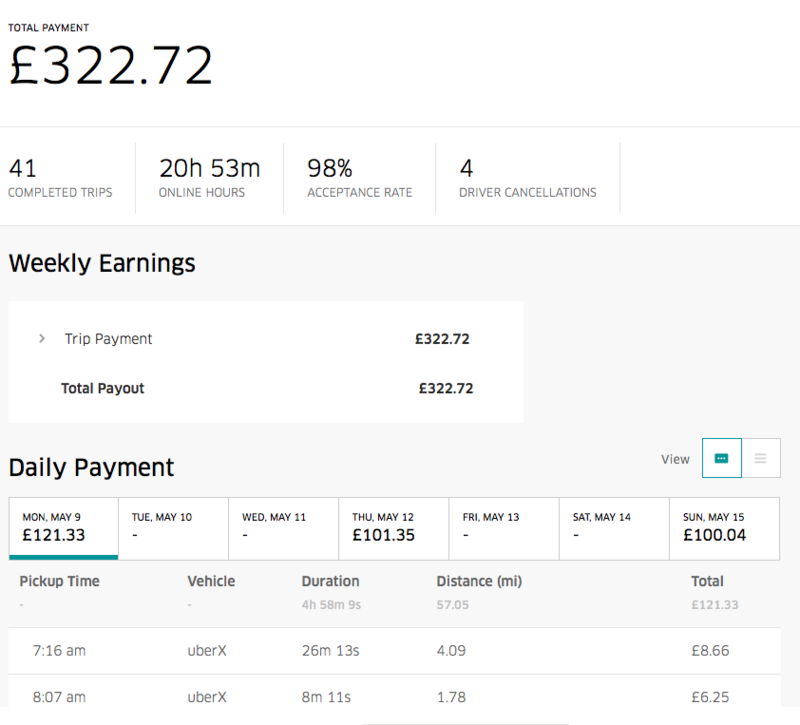 How much does an Uber driver make in London? A lot of people ask me this questions, and I have shared my first and second weekly reports of my Uber driving antics. I have been very busy with my wedding business this summer, so I am a bit behind on my financial statements, but hopefully, I can catch up soon enough. 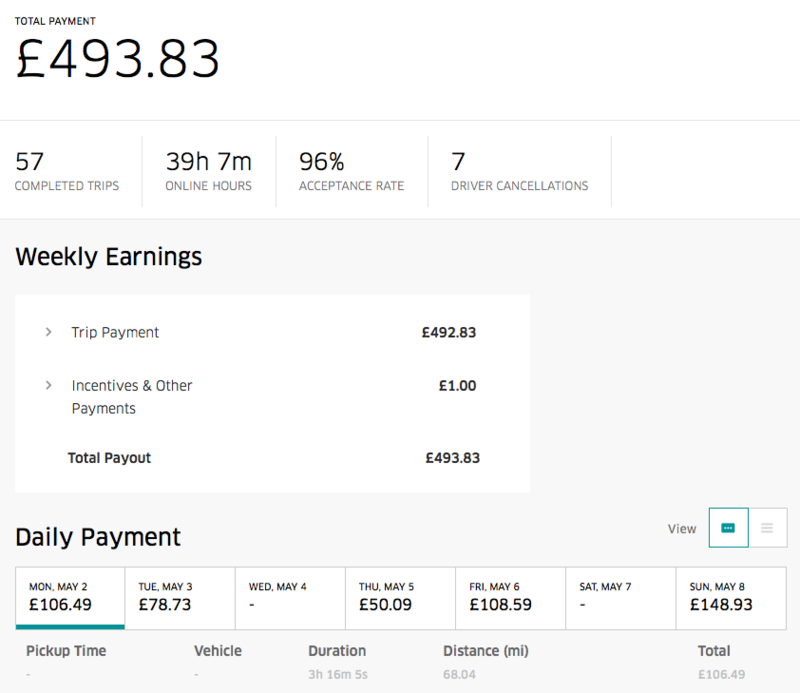 I’ll start doing monthly earnings reports rather than weekly as it takes a bit less time to create and it gives you guys a better idea of what you can make per hour working on the Uber platform. I have to point out that I don’t drive full time and I do not take advantage of the late night Friday and Saturday night drunks who pay hefty surge prices to go home from the pub. I only work morning from 8 or 9, depending on what time my better half starts work, and I go home by 3 or 4 pm. I hear if you start at 4 or 5 in the morning and work until noon you can quickly clear a hundred but who is crazy enough to wake up in this ungodly hours? Certainly not me! I was looking for the perfect part-time work opportunity when I heard about Uber’s Ignition program. It was exciting to hear that I could claim £300 back to help with the cost of my PCO license after I complete 20 trips, so I went for it. 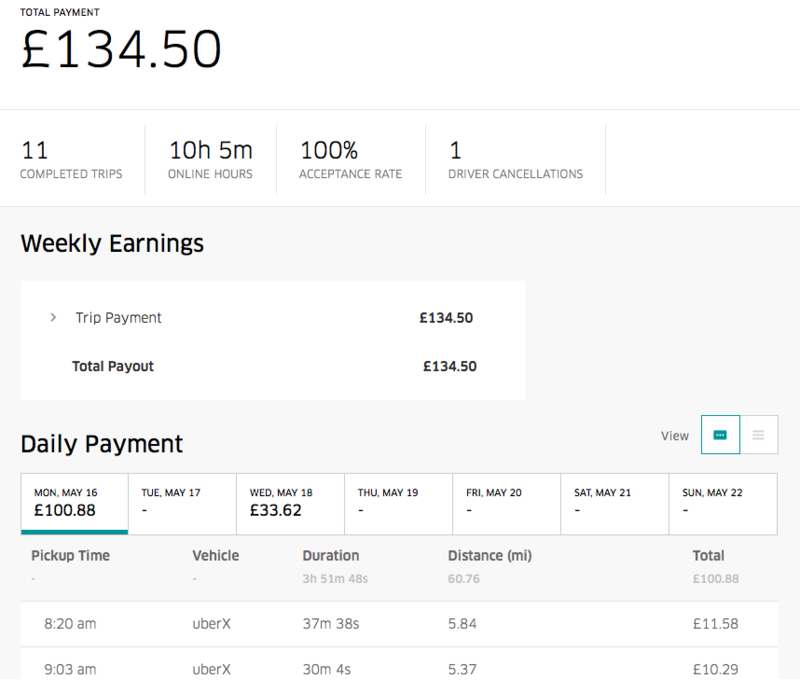 The license costs about 400 to 500 pounds to acquire, and it takes some patience dealing with TFL, so Uber’s incentive helped with the cost. It took me a few months to receive as there was a month delay with the DBS check but it all went through in the end. So enough babbling from me – here is the report as promised. It is divided by weeks, and there are screenshots of each week’s earnings. You can see how much I’ve made per hour and per week and then we will deduct all the costs from the profit to get the real idea oh how much I earned in the month of May. Total £ per hour after expenses: £4.95 per hour. No comment there. 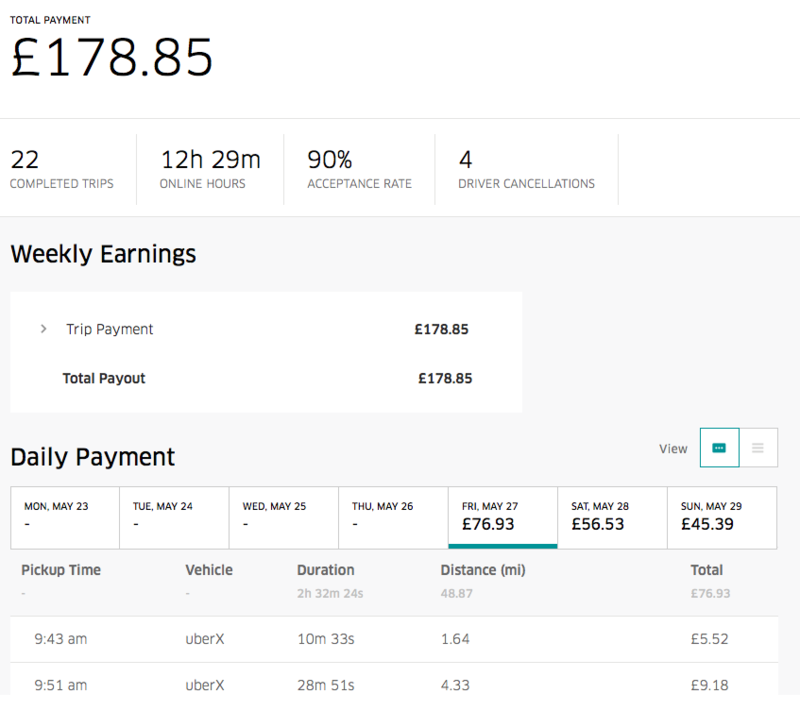 Total earnings: £322.72 after Uber commission. – Car rental + insurance: £230 for the week. – Car Wash: £6 – washed only once that week. Wage per hour after cost: £2.48 per hour. That’s painful. This week was a bit strange because it was my last week of car renting and I returned the rental car on Thursday that week. It was the final week, and I didn’t have to pay for the lease on this particular week. I did spend the week before but since it was Thu to Wed rental week this particular week statement I didn’t have the expense of the rental car so let’s accept it was free. We both know that it wasn’t but let assume that it was for the sake of preventing me from doing hard math. Wages per hour: £11.26 per hour. Not bad when you have a free car, and you don’t have to pay rent. Hours worked: 12.5 when converted to decimal. 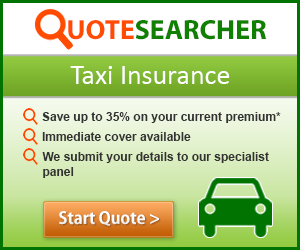 – Car + Insurance – £100 per week. How am I calculating that? I think the most accurate calculation would be to multiply 450 by 12 to get the yearly figures. Then divide by the 52* weeks in a year to get actual weekly rates for the car. – No carwash that week – the car was sparkling when I picked it up from the dealership. Hourly wages: £4.87 per hour. Total Earnings After Expenses: £419.90 for the entire month of May. Hourly Wage: £5.08 per hour. A lot of people may ask why am I still driving for Uber. I have a ready answer for that. It works perfectly for me. Yes, I do understand that these figures do not make any sense to any professional minicab or taxi driver and I don’t expect them to. For me, Uber is the perfect part-time job. Yes, you don’t make serious money, but it allows me to work when and where I want and lets me choose my hours. It gives me the freedom to go online and offline whenever I need to. I don’t count on Uber for my primary source of income because I don’t want to be a full-time cab driver. I’m too impatient with traffic and idiots on the road to be able to do that full time. I can deal with the hate I receive from the black cab drivers on a daily basis, I don’t care about the lot, but sitting in a car on a hot day, even with the AC on, is a bit too much for me. I have friends who make well over 2-3 thousand a month from Uber work and kudos to them – I can not do it. 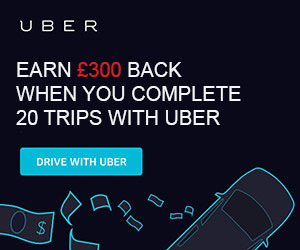 I prefer to focus on my business and drive for Uber when I need some extra money while paying for the luxury to own a car in London. If I made any mistakes with the calculations above, please do let me know. Thanks for reading!